It is very important for all children to attend school every day and to arrive on time. 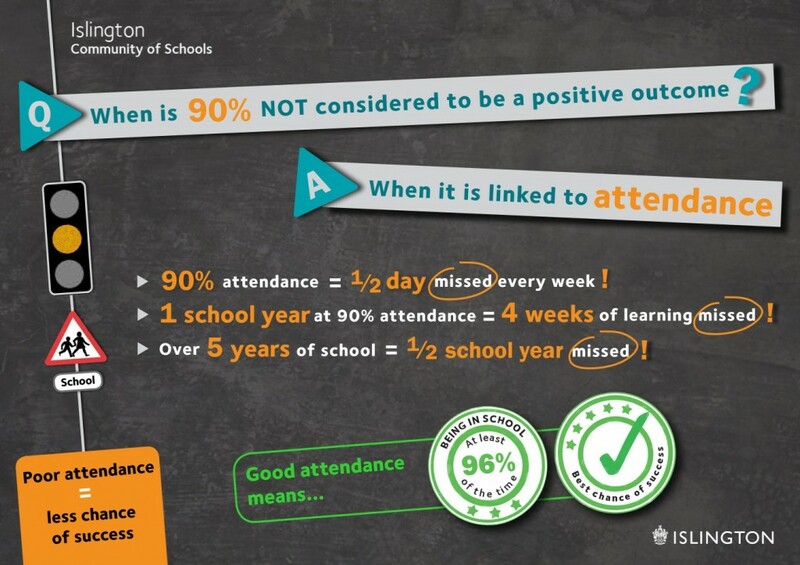 School starts promptly at 9.00am and they should arrive in good time for when the bell goes.This is essential to ensure that children benefit fully from classroom learning and that other children’s learning is not disrupted. We therefore have a strict punctuality procedure. When a child arrives after 9.00am the parent/carer is required to wait with their child until the next break in learning. They will also have a meeting with a member of the Senior Leadership Team to help them with strategies to prevent lateness from occurring. To help with punctuality, there is a breakfast club in the Lodge from 8.00am. In addition, the playground opens at 8.30am and parents/carers are welcome to bring their children and wait with them from this time.